Roofcurbs are simply the mounting frame that a commercial HVAC unit rests on when being installed on a rooftop. MicroMetl manufactures ten of thousands of curbs each year including standardized curbs, taller, shorter, pitched and calculated for seismic conditions. Adjustable pitched curbs, vibration isolation curbs and curb adaptors are also available. 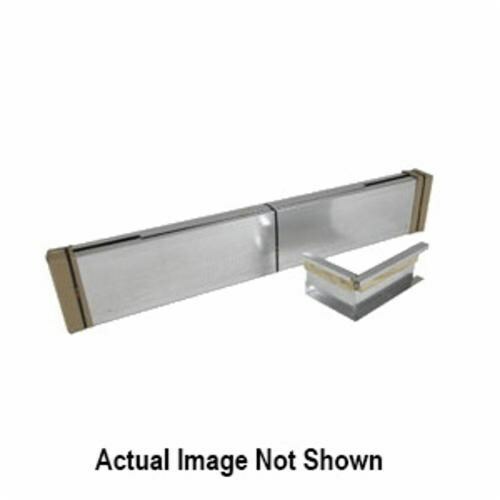 All curbs are constructed of high quality galvanized steel and many use the innovative tongue-and groove MicroLok design, which requires no tools and assembles much faster than the competition's product. Curbs typically include the wood nailer for roofing, gasketing to provide a seal to the HVAC unit, and duct supports and insulated deck pans, as required. Curbs are typically shipped knocked down but assembled curbs are available.